05/26/2006. PSIVectorDiaCor v1.3.1. The Comparing mode is considerably advanced. The most part of modes and diagrams, scaling possibility is added. 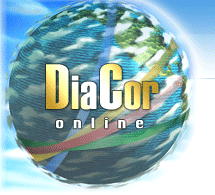 1st september 2005 - is a date of information internet-project "DiaCor online" official opening. The mission of this project is to provide solution for information support task and interactive contact to our customers. Besides it provides versatile on-line support features for "Intera-DiaCor" products. In this section You have an opportunity to inform temathic comliant news with link on news source. In a case of news actuality and interest we`ll publish it certainly. Thank for your assistance in our internet portal, media resources development dedicated to medicine.